It’s that time of year again – the cheerful and wonderful holiday season! We know that the holidays can get expensive, so we’ve put together a list of 21 FREE fun events to attend that will be fun for everyone in the family! From parades and tree lightings to visits with the big man in red, these events will be sure to put you in the holiday spirit! 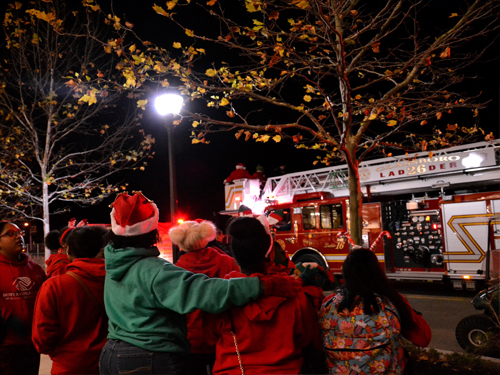 Come out to the Voorhees Town Center’s annual Tree Lighting Ceremony! 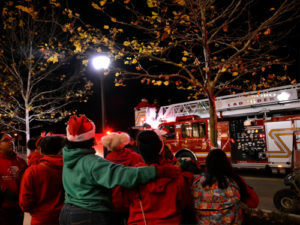 See Santa arrive in style escorted by the Voorhees Township Police and Fire Departments! On every Friday through December 24, the shops of downtown Haddonfield, NJ offer in-store holiday events as well as holiday entertainment, horse carriage rides, and special visits from Santa Claus. 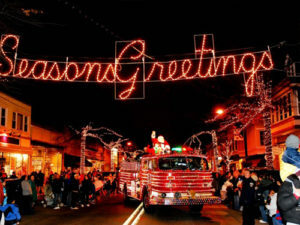 Bring the whole family to the Collingswood Holiday Parade to get into the holiday spirit! The parade features lively seasonal entertainment, including marching bands, dancers, holiday characters, giants on stilts, floats, mummers, live music, and even sports mascots like the Philly Phanatic! There will be cars from the Original Garden State Corvette Club and dozens of other antique and historic autos and motorcycles driving in the parade. Be sure to grab your cocoa early to get a good spot! Kings Highway will be alive with Christmas cheer as Swedesboro celebrates the start of the holiday season! The parade starts at 1pm and will feature a variety of floats, community groups, and performances and will conclude with an appearance by Santa. While you are at the parade, be on the lookout for Who-Pons, coupon booklets that are filled with great deals to local businesses. Immediately following the parade, Santa and Mrs. Claus will be visiting with children in the Woolwich Fire House until 4pm. The day’s events will wrap up at 6:30pm with a tree lighting ceremony and caroling at Borough Hall. 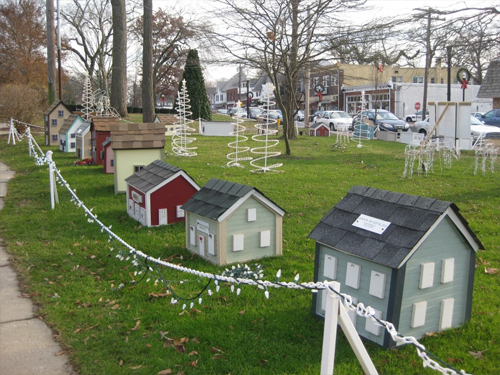 Join Mullica Hill for their annual event Lights on Main! This family and pet friendly event is meant to have families come together to enjoy the holiday season. Enjoy free horse and carriage rides, free holiday blow up rides, crafts for children, food specialties from local restaurants, strolling carolers, antique shop specials, and live entertainment! There will also be a visit and pictures with Santa and Mrs. Claus. Every Thursday, Friday and Saturday is Christmas in the Park in Uptown Pitman! Whether you’re visiting with Santa, riding the trolley, or just strolling around the town, you will be sure to get into the holiday spirit! Burlington’s Annual Holiday Parade features many high school bands, string bands, hometown heroes, community and service organization floats, beauty queens, antique vehicles, elves, and of course, Santa! After the parade, enjoy the tree lighting ceremony! 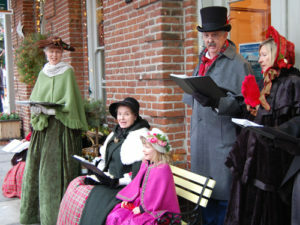 There will be live street musicians and carolers, as well as storytellers in period costumes. Take a trolley or horse and carriage ride through the town and vote for your favorite decorated store window. 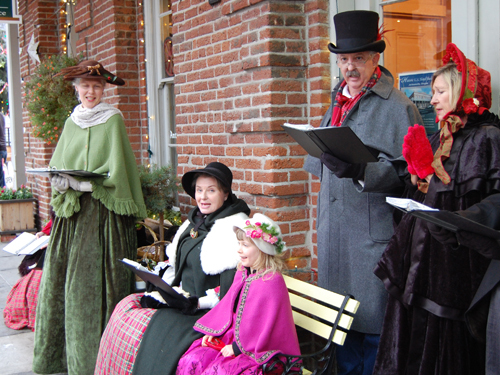 Visit Uptown Pitman and be transported to the charm of a Victorian Christmas! Find unique and handmade gifts in local stores and from more than 30 special vendors. Toast a mashmallow at one of two bonfires, try some wassail, and stroll along the Victorian costumed actors beneath the holiday lights. This event is rain or shine. In the event of rain vendors will display their wares at Sunset Auditorium on Laurel Avenue. Join Downtown Hammonton for a magical and musical evening on Bellevue Avenue and Central Avenue! Visitors will get to watch their annual holiday tree lighting, as well as enjoy carolers, visits with Santa, carriage rides, and more! The rain date is December 2nd. Bellmawr’s Christmas in the Park features free sleigh rides, cookies, hot chocolate, pony rides, stockings, balloons, gifts from Santa, and so much more! Pictures with Santa will be available. There will also be a collection box for Bellmawr Believes. Downtown Medford transforms into Christmas time in merry old England, during the days of Charles Dickens. Santa will arrive by horse-drawn carriage at 6pm to kick off the event. There will be musical entertainment, crafts, food, and a lighting of the holiday tree at the gazebo. Kick off the holiday season at Historic Smithville Park for their annual Victorian Holiday! Festivities include ice carving demonstrations, tours of Smithville Mansion decorated for the holidays, entertainment, kids’ activities, and a holiday marketplace where you can purchase unique gifts. Expect to see Victorian performers, re-enactors, carolers, and live reindeer during this event! Guests will even get to visit with St. Nick! Chabad invites the entire community to celebrate the Festival of Lights at a public Menorah kindling ceremony in Haddonfield! Public dignitaries and community leaders will attend the ceremony and assist in kindling the giant Menorah. After the kindling, there will be music, delicious latkes and doughnuts, chocolate Chanukah Gelt for the children, dreidels, and family fun. Wrap up your holiday shopping on Main Street in Moorestown! Restaurants and stores will stay open late with seasonal finds and delicious fare. Sounds of the season and a children’s art contest round out this festive evening! Glassboro and Rowan University present Boro in Lights, an annual holiday celebration and tree lighting! Ring in the holidays with horse and carriage rides, photos with Santa, live performances, and an ice sculpture demonstration. There will also be a Toys for Tots and Canned Food Drive. The Merchantville Public Events Committee is sponsoring the Holiday Parade and Tree Lighting. The parade begins at Wellwood Park and travels along West Maple Avenue to West Park Avenue and finishes on Centre Street. Celebrate the holiday season at Downtown Hammonton’s annual Christmas parade! The parade features decorated trucks, an appearance from Santa, and more! Chabad and the Moorestown Jewish Association invite you to celebrate the Festival of Lights at a public Menorah kindling ceremony! Public dignitaries and community leaders will attend the ceremony and assist in kindling the giant Menorah. Following the kindling, there will be a program featuring music, delicious latkes and doughnuts, chocolate Chanukah Gelt for the children, dreidels, and family fun. The Barrington Civic Association invites you to join them for free trolley rides around the town! There will be free crafts, hot chocolate, and entertainment for the kids. Water and soft pretzels will be available for purchase. They are accepting non-perishable food items for the Grace Bible food pantry. Any donations are greatly appreciated and benefit the residents of Barrington. Enjoy the glitz, glimmer, and holiday shimmer of the season as Downtown Hammonton lights up with food, art, shopping, music, and more!